WAYNE, Pa., July 27, 2018 /PRNewswire/ -- Letco Medical, L.L.C. ("Letco Med" or "Letco"), a leading national supplier of quality compounding products, supplies and equipment, announces the launch of their Pharmacy Financial Services program, another in a series of new Letco Med offerings designed to partner with compounding pharmacies to grow their business and enhance profitability. Pharmacy Financial Services is a separate program, having no impact on customers' existing lines of credit with Letco. Letco's Chief Financial Officer, Todd Way, said "Letco is excited to offer a unique financing program for customers at a time when new investments are required to satisfy emerging market and regulatory requirements such as USP<800> compliance for handling of hazardous substances. We are very enthusiastic about this new offering and believe customers will be as well, as it allows compounding pharmacies to build a plan that aligns with their specific sales cycle, cash flow and budget needs." Equipment financing through Letco is the smart choice for compounding pharmacies. By helping customers operate smarter, without the need to dip into valuable capital, pharmacies experience a range of business benefits while still adhering to their own unique budgetary and cash flow requirements. Letco Medical, L.L.C. 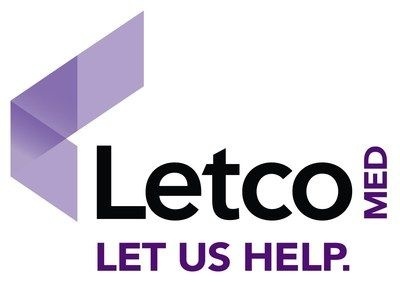 ("Letco Med"), a 100% employee-owned company headquartered in Wayne, PA, is the supply partner of choice for profit-conscious compounding pharmacies everywhere. Letco Med has invested heavily in building a company that can serve the needs of compounding pharmacists today, tomorrow and into the future, with a full line of products and complementary programs and services. With a dedicated focus on the U.S. compounding market, Letco Med provides a wide and comprehensive portfolio of safe and consistent top-quality chemicals, compounding supplies and equipment at highly competitive prices. Letco Med's product line includes chemicals covering a broad range of therapeutic categories, as well as supplies, equipment, capsules, pre-made topical bases and oral delivery vehicles. In addition, Letco Med carries a deep assortment of dosage forms and delivery systems.